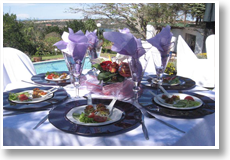 At on-the-summit lodge you can even find the perfect East London conference venue, catering to all your expectations. 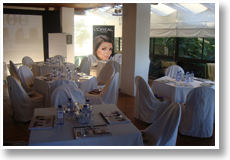 From a small intimate meeting to a larger workshop or conference catering for up to 30 delegates. 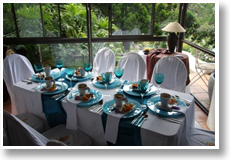 Set in an ideal, tranquil environment with luncheons served in the beautiful garden, surrounded by nature. 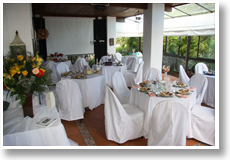 Contact us now for all your requirements at this excellent East London conference venue. 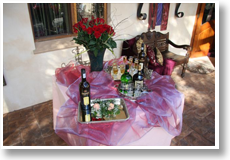 A deposit of 50% is required on confirmation of your conference. Unfortunately, no changes to confirmed catering or conferences booked, will be accept 48 hours prior to commencement or delivery - no exceptions! 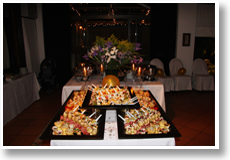 A deposit of 50% is required on confirmation of your function or catering quotation. Unfortunately, no changes to confirmed catering or functions booked, will be accept 48 hours prior to commencement or delivery - no exceptions!